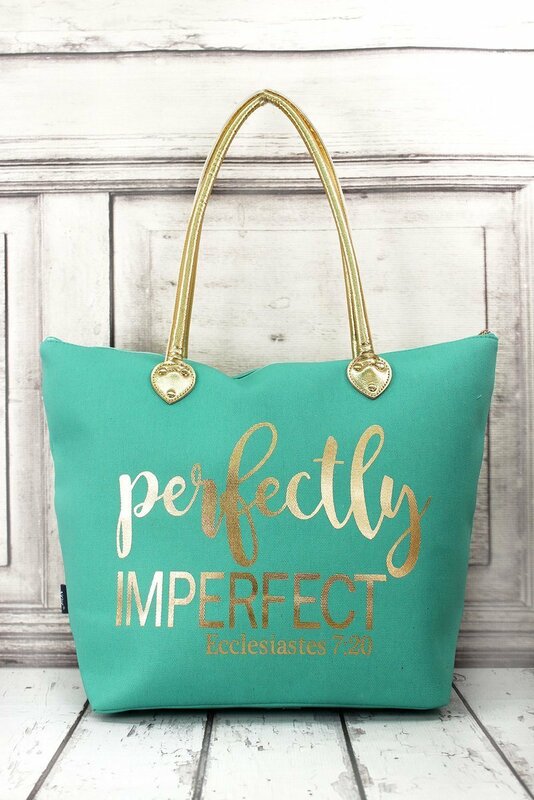 "Certainly, there is no one so righteous on earth that he always does what is good and never sins"
Perfect handbag for everyday shopping trips to the suppermarket, mall and more. 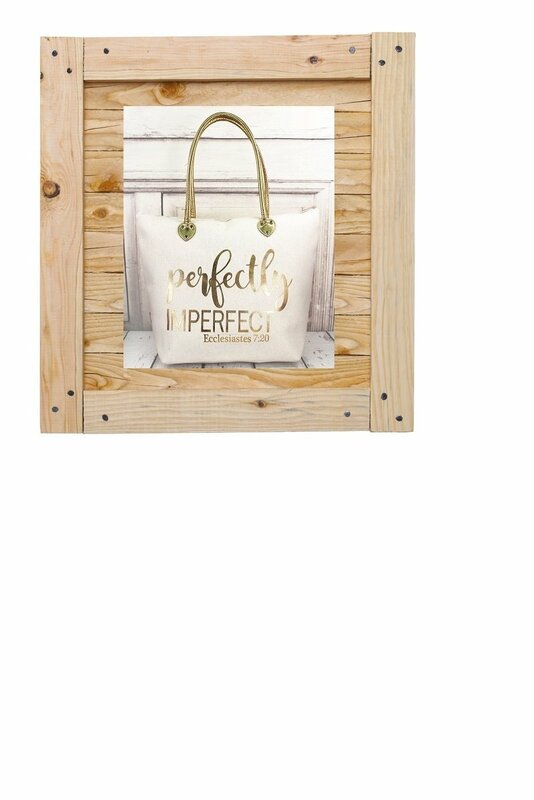 Made of Canvas with bright gold foil lettering. 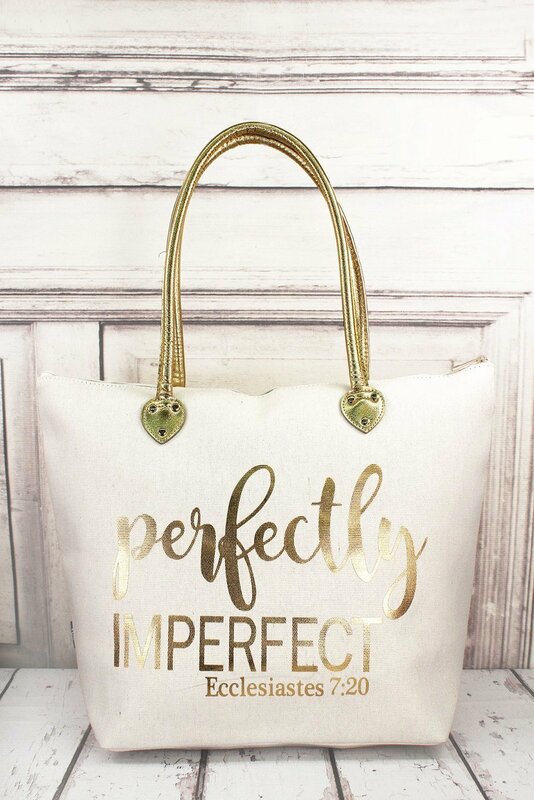 Our tote measures approximately 13" wide x 20" long x 14" tall, is fully lined with inside pocket, top zipper closure, and contrasting 10" gold handles.